Solar Panel price hikes evident as the industry braces for a trade war! Update on This article. Read about the solar companies hoarding panels and causing a shortage even now. Call us to learn how Our company is supporting US made. For years now there have been whispers of the chinese companies dumping cheap solar panels illegally and below cost price fixing. 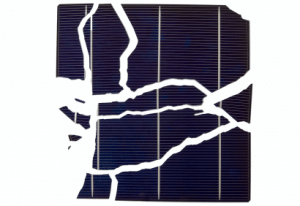 The two largest US Solar Panel manufacturers (Solar World and Suniva) declared bankruptcy. In recent months, they have joined together and filed a Federal Trade case to add tariffs to any Non-US made solar panels coming into the USA. The markets are already reacting! The threat of Tariffs on any non-us made solar panels are causing a shortage of solar panels and have already driven up costs 25% in the last month or so. Solar panel price hikes are expected to continue. There is an expected 40% price increase again, by November. The government may initiate minimum price rules as petitioned by the Suniva in their case. This federal trade case is expected to double the price of solar panels by the end of 2017. This is the time to get solar if you ever wanted affordable solar, before the prices skyrocket and government incentives dry-up. The Trade case was accepted by the Trump administration toward the end of May and since then the solar industry has been on it’s toes. The ITC is labeling the investigation “extraordinarily complicated,” giving the trade body extra time to determine harm. A decision will be reached by September 22, and a recommendation for action will be sent to President Trump by November 13. He will then have 30 day sto react. This case will easily double the price of imported solar panels. We are looking at a huge setback for the green energy sector with respects to loss of jobs in the solar industry. As solar panels become less affordable, large companies may not follow through with their plans to convert their operations to solar. The homeowners who thought they could finally afford solar will be waiting to see if prices come down. Solar-farm developers have become skittish about long-term commitments to supply power at prices that could become uneconomical if tariffs, which can be applied retroactively, raise their costs. NY Times June 30 2017. This will stall the solar industry for sure. We aim to educate and not merely to sell, so Portable Solar LLC (Sol-Ark) will keep you posted as more news becomes available. This is a great article by Thinkprogress.org that explains some not so common facts and worth knowing.